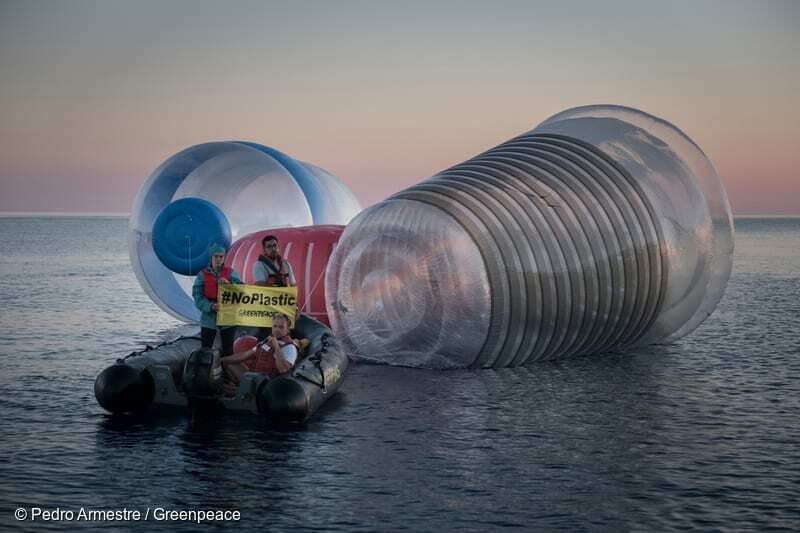 Wanna know where plastic pollution really starts and ends? Join the Rainbow Warrior and Beluga as they set sail to find out all about it. 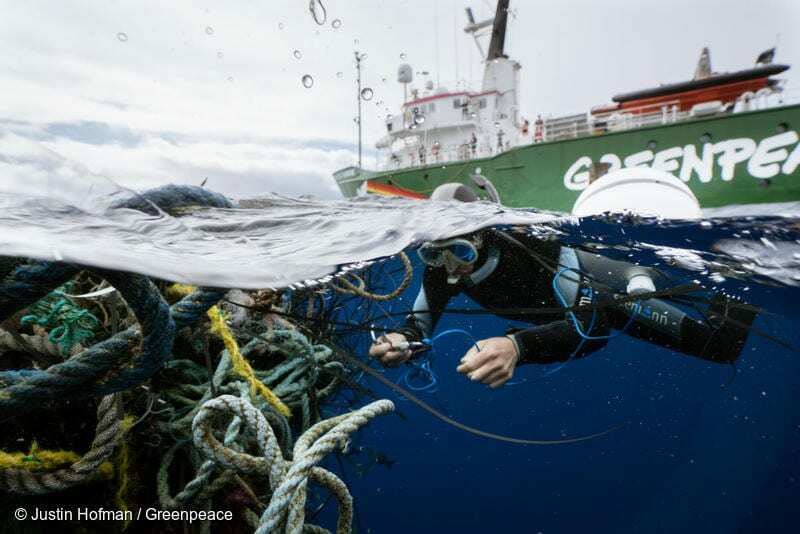 Tavish Campbell attaches a GPS tracker onto ghost fishing nets in the Great Pacific Garbage Patch. The buoy will send the position of the nets as they travel around the gyre, increasing our understanding of currents and how trash accumulates in the gyre. The crew of the Greenpeace ship MY Arctic Sunrise voyaged into the Great Pacific Garbage Patch document plastics and other marine debris. The Great Pacific Garbage Patch is a soupy mix of plastics and microplastics, now twice the size of Texas, in the middle of the North Pacific Ocean. Corporations have created a plastic monster. Over 90% of the plastics ever produced have not been recycled, yet corporations have plans to dramatically increase their production of plastic packaging. With plastic production set to quadruple by 2050, recycling can never be enough to solve this problem. So now we are deploying the Greenpeace ships; the Rainbow Warrior and the Beluga, to tell the global story of where plastic pollution really starts and ends. 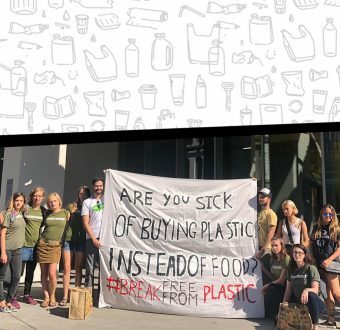 We are rallying supporters worldwide to help hold these companies accountable and to make sure they follow up on their words with bold action. Because we don’t need more talk — we need concrete, urgent action to stop plastic pollution at the source! 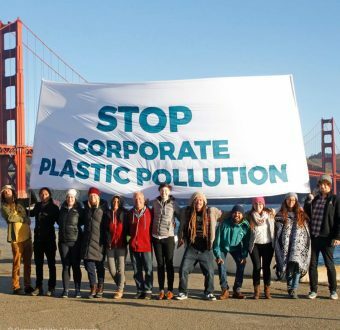 It’s time for Nestle, Unilever, Coca-Cola, PepsiCo., Colgate, Danone, Johnson & Johnson, and Mars to be transparent about exactly how much plastic packaging they are producing and make concrete plans to reduce. It’s time for these corporations to invest in alternative ways to deliver their products to us and phase out single-use plastic. Graham Forbes fights for our ocean as Greenpeace's Global Seafood Markets Project Leader.